As a preferred supplier to the Audley Group, Bridgman were tasked with creating an outdoor space that exudes luxury & style in keeping with the Audley brand. Our award winning contemporary Hampstead collection of dining and lounging furniture was an ideal solution to meet their requirements. 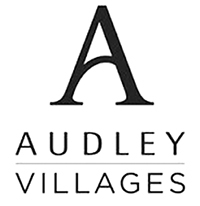 Audley Villages are regular purchasers of external furniture for our premium retirement villages around the UK. Bridgman’s most recently supplied a complete range of high quality and elegant furniture for our new village at Redwood in Bristol. It is in use on our outside terrace as an extension of our restaurant and has been extremely well received by our owners and restaurant visitors. Audley highly recommend Bridgman with whom we expect to have a continuing relationship.